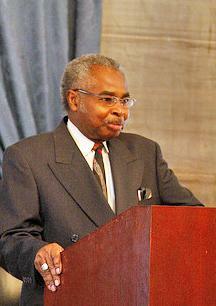 Larry Turner spent most of his life as a public servant. For more than 20-years he served as the State Representative of the 85th District. Those who worked beside him in the legislature say his number one priority was the people who elected him. "He always worked for the people and they never had to question his motives," said Representative Mike Kernell. Quiet yet dedicated, Turner fought hard for legislation dealing with education and restoring rights to felons. Fellow Representative Kernell says when it came to some issues he was even ahead of the curve. The 70-year old often worked alongside his wife, Johnnie Turner, the Executive Director of the Memphis Branch NAACP. He was a family and many say he never looked to be in the spotlight. "He would quietly do his thing, pass legislation, work with other community leaders and just getting things done and that was his style. You didn't see him on the news every night but he was very effective in what he did," said Chair of the Shelby County Democratic Party Van Turner. After spending 12-years in the legislature with hardly any absences, illness forced him to miss most of the last session of the General Assembly. He died Friday morning. "Yes, Larry will be missed. I'll miss him personally because he was one of my best friends and the people will miss him because of all the good work he did," said Kernell. "He was just all around a good man, a great legislator and we will definitely miss him," said Turner. No word on funeral arrangements.